– The Texas Rangers rallied from a 1-0 deficit in the 9th inning to defeat the St. Louis Cardinals 2-1 in Game 2 of the World Series last night. The series is now evened up at 1-1. 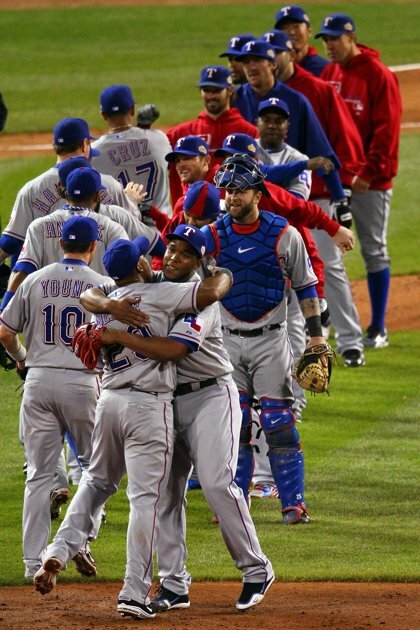 Good win for the Rangers last night, even though they waited until the 9th inning to form any sort of offense. The pitching has been the story of the series so far, resulting in 2 extremely close games, both decided by 1 run (3-2 and 2-1). Both Jaime Garcia (3 hits, 7 K’s, 0 runs) and Colby Lewis (4 hits, 4 K’s, 1 run) had solid outings for their sides, but it was the St. Louis bullpen that ended up squandering the game away, as Jason Motta was the one giving up 2 runs in the 9th. The Cardinals have had trouble closing games in the past, so they need to figure out their issues with their closers if they want to stay in this series. St. Louis should really be up 2 games right now. The Rangers definitely didn’t wanna walk away from St. Louis down 2 games though, since in last years World Series the Rangers lost the first 2 games and went on to lose it all to San Francisco. I am very surprised to see the pitching outshine the hitting, since both clubs have such tremendous hitting line-ups. Another story coming out of this game is Albert Pujols, and his inability to man up to his mistake after the game. Pujols whiffed on a throw in the 9th that allowed a runner to move into scoring position, which eventually turned into the game-winning run. Now a lot of people are giving Albert grief for not sticking around to answer questions while his other teammates took the brunt of the loss from media personal. It may seem like a cheap way out of things, because even though he is the best player on the team and one of the greatest hitting talents of all time, he still made an error that cost his team in the end. He should have stuck around to answer questions and his critics and show accountability. Whether or not he leaves at the end of this year isn’t the issue, because right now he is a Cardinal and is the leader of that clubhouse. – The Toronto Maple Leafs took a pounding in Boston as the Bruins defeated the Blue and White 6-2 last night. If their is one city that is more passionate about there hockey then Toronto, then I haven’t seen it. I am amazed by all of the negativity from fans that I have seen surrounding this defeat. Yes, a 6-2 loss is a bad loss no matter what way you put it. But let’s look at the facts. 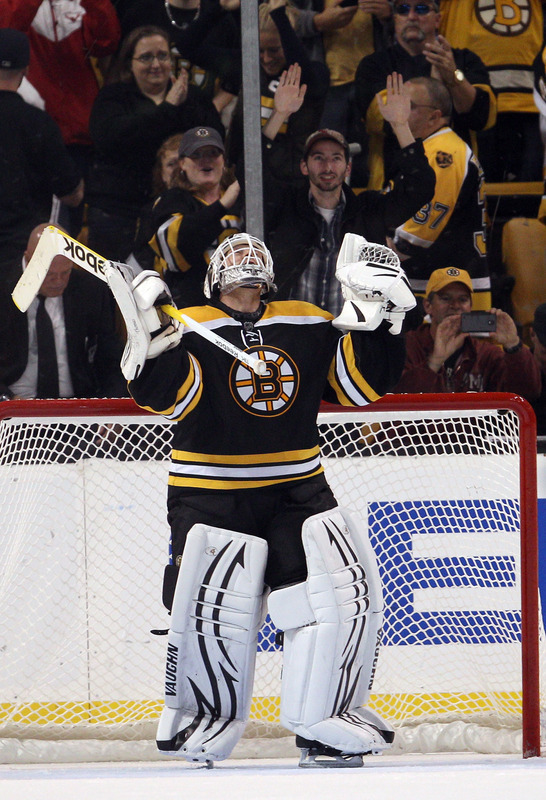 The Boston Bruins are the defending Stanley Cup Champions. They just came off of a bad defeat to the Carolina Hurricanes. Even with the win, Boston is only 3-4-0 to start the year. Most importantly though is despite all of that,the Bruins are a more talented team than the Maple Leafs. This was actually the first non-overtime loss for Toronto so far, and losing to a team the caliber of the champs is not something to jump off the band-wagon for. Surprising to me is that the Leafs are playing some really great hockey, outside of this one blemish. Toronto has had a tendency to start hot but then cool off right away, so hopefully this was just a mirage of how this team actually plays. Phil Kessel is off to a blazing start, leading the league in both goals and points. Maybe being the last star picked for the All-Star team lit a fire in Phil. There are a lot of positives to be had for the Leafs as of now, and one bad loss like this isn’t something to freak out about. – On October 19th, ESPN’s documentary show “E60” did a piece on former professional wrestler Scott Hall aka Razor Ramon. The mini-doc shed a light on the darker side of professional wrestling, as well as showcase Hall’s current state, which includes a life of drugs, alcohol and broken relationships. I didn’t hear about this piece until after it aired, but I was fortunate enough to find a version of it on Youtube. Growing up, Scott Hall was one of my favorite professional wrestlers. I followed him from his WWF stint as “The Bad Guy” Razor Ramon, all the way to WCW where he competed under his real name Scott Hall and revolutionized the wrestling business with the NWO. In my mind, he is probably the greatest talent in wrestling history to have never won a World Championship. To see him now with where he is in his live is very sad. This documentary is a must-see for any wrestling fan. It shows you that behind the glamor, fame and notoriety of professional wrestling, there is a dark side. 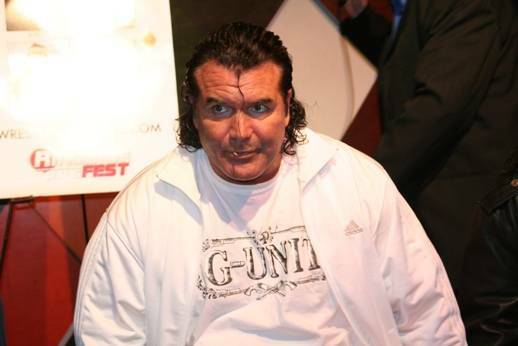 Scott Hall isn’t the first individual to deal with pain and suffering by abusing his body with drugs and alcohol, and probably won’t be the last. The story just has that much more power and steam behind it because of how important Hall was to the growth of the industry, and how successful he was when he was at the top of his game. But like he says in the piece, he should have been dead a long time ago. Take some time out and give this E60 piece on Scott Hall a watch. May we all hope that one day Scott Hall can find peace in his life and overcome the demons that surround him to this day.